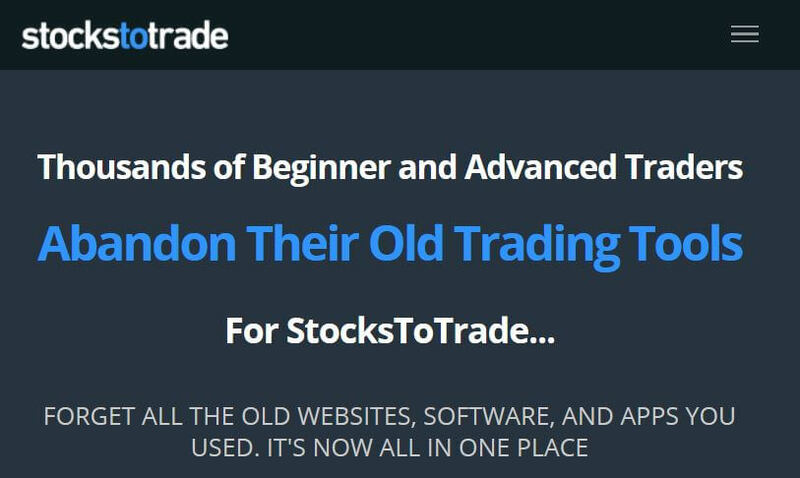 Stocks To Trade Software Review 2019 | Is This Platform Worth It? Real-time data. It sounds basic, but in trading it’s non-negotiable. While professional traders on Wall Street scour financial market waters with ships the size of an oil tanker. With only a brokerage account, you might-as-well be in a row-boat. Its proprietary data software provides real-time scanning, strategy implementation and stock alerts to take advantage of the newswire. But will its platform really make you a better trader? In this Stocks To Trade review, we’ll breakdown the offering. We’ll tell you how the product works and whether its data service can help perfect your strategy. What is Stocks To Trade? ​Who is Stocks To Trade Best For? Stocks To Trade is a trading software provider that offers cutting edge scanning and financial market research tools. 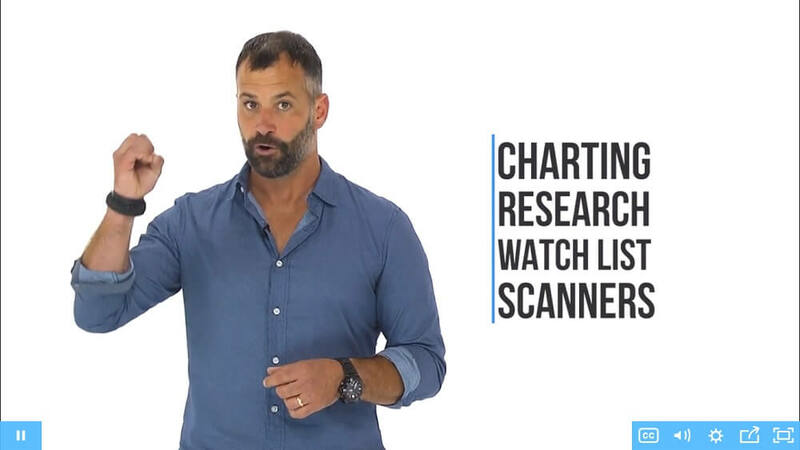 Through its service, the company provides winning scanning strategies, chart-drawing indicators, real-time news streams and real-time access to all major US markets (NASDAQ, NYSE, AMEX, OTCBB, PINKSHEETS). Developed by renowned penny stock trader Timothy Sykes, Stocks To Trade’s technology aims to turn the average trader into a professional. Whether it’s which stocks are trending, which plays are profitable or allowing you to automate the hard work and focus on trading – Stocks To Trade has something for everyone. And with its recent success, the company is gaining a lot of positive attention. With specialization in mind, Stocks To Trade offers two main services to its clients. Plan subscriptions to its software and a pro subscription where you work directly with one if its trading experts. 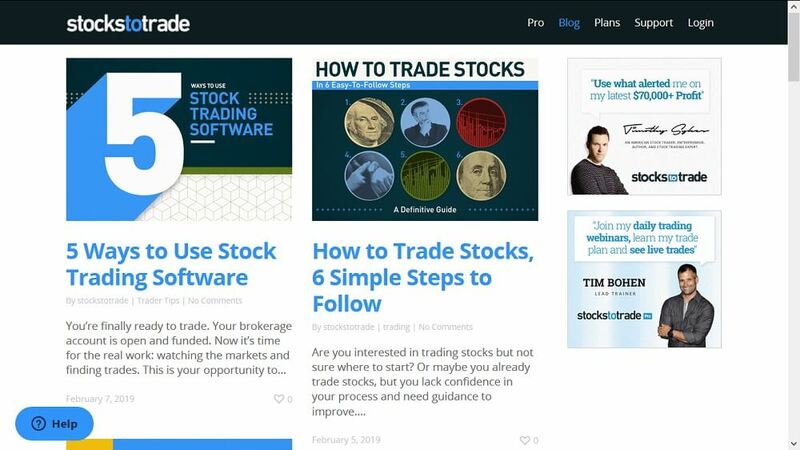 If you’re a seasoned trader looking to gain an edge, Stocks To Trade’s Software is just what you’re looking for. Plans start at $179.95 per month or you can purchase an annual subscription for $1,899.50 (savings of $259.90). Compared to Trade Ideas, this is too expensive. ​With a monthly plan – you can sign up for a seven day trial for only $7. So what’s included in your subscription? ​The technology also includes access to a Stocks To Trade Paper Trading account. With it, you can practice and perfect your strategy before risking any real capital. So what should we make of Stocks to Trade’s technology? Well, for starters it’s highly advanced. Professional traders know, the key to beating the market is staying ahead of the competition. With Stocks To Trade, you’re covered from all angles. With its plethora of real-time data, not only will you know what’s going on in the market but more importantly – its technology ensures you’re first to know. Moreover, its platform also conforms to any trading strategy. Whether you’re a scalper, day trader, momentum trader, or even employing a reversal strategy -- Stocks to Trade provides split-second data for scanning equities using its internal algorithms or your specific trading criteria. The increased efficiency results from the platform being developed by traders, for traders. And with Timothy Sykes behind the wheel, you ​might have the impression that you’re getting a quality product. They provide a seven day trial for $7. It’s not a free trial, but the amount is affordable. Seven days is more than enough time to test out the service. It’s ​a positive aspect that you have the paper trading account at your disposal. Most importantly, customer trials speak to the authenticity and integrity of a trading service. When a company allows you to test its products risk-free, it shows they stand behind the offering and aren’t trying to reel you in with misleading marketing. As well, you can cancel anytime. So if you find the product isn’t right for you, seven dollars won’t break the bank in the process. If you’re looking for trading coach or someone to help steer you in the right direction, than Stocks to Trade Pro is the option for you. 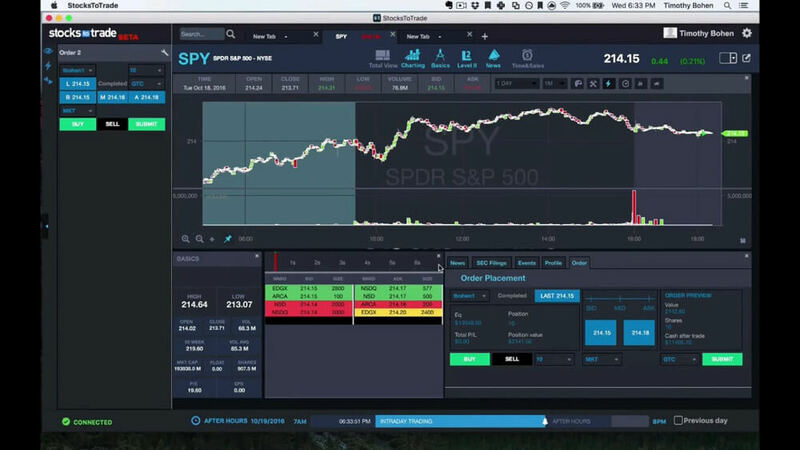 Here, you follow along as Tim Bohen scans the market for winning plays and shows you how to integrate all of the tools from Stocks To Trade’s software. His live coaching webinars are held twice per day – Monday to Friday – so you receive a total of 10 sessions per week. So what else do you get with Stocks To Trade Pro? And how much does Stocks To Trade Pro cost? Unlike a software subscription plan, the price isn’t directly disclosed. In order to sign up, you need to apply in advance, then be approved by the Stocks To Trade Team. As Tim Bohen mentions, the Pro package also requires a lot of time and dedication. Throughout the program, you’re immersed in all-things-markets so make sure you have the free time to take it seriously. Unfortunately, as well, there is no free trial or money back guarantee. Out advice is to stick with Stocks To Trade’s Software. With a seven day trial for only $7 and the paper trading account, you can test out its technology and assess its validity. Once you know it’s right for you, then take a closer look at Stocks to Trade Pro. At this point, you’ll be better equipped to take your trading game to the next level. However, expect a pricing tag >$10,000 for Stocks To Trade Pro! 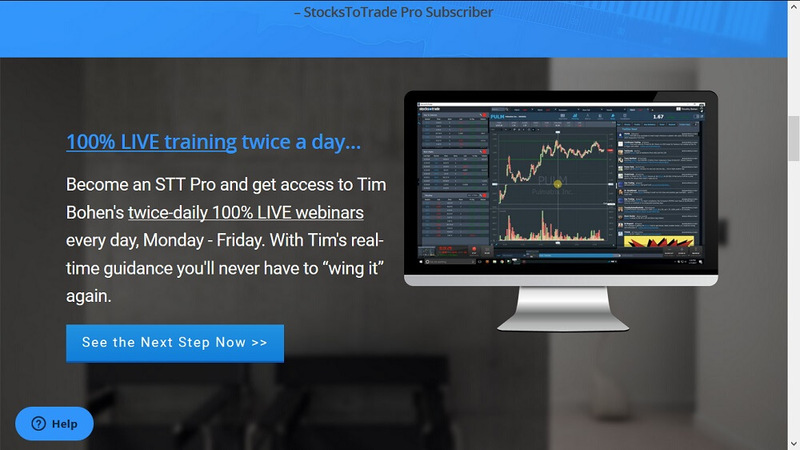 While Stocks To Trade doesn’t offer a free trial, its seven day trial for only $7 is the next best thing. With it, you can try the software risk-free and gain access to some of the most advanced technology out there. As well, the seven dollar outflow makes it more than worth a look. The site also offers free educational material through its Stocks To Trade Blog. There you can find plenty of helpful articles that outline how to scan for dividend growth stocks, how to identify hot stock market sectors, how to trade head and shoulders patterns as well as many others. The company also has a wealth of information on its Stocks To Trade YouTube Channel. You can also follow the team on its Stocks To Trade Twitter account. ​Ultimately, Stocks To Trade is ​not ultimately the best choice for making profit trading stocks. Designed by traders, for traders, Stocks To Trade’s proprietary technology gives you access to all the data you need. And because its designers are traders themselves, they already know what to look for. That's their selling point. ​The best choice ​is the seven day trial for ​$7.​ You have peace of mind to try the service without any constraints of a long-term contract. However, expect professional marketing tactics once you signed up for the trial. ​Compared to Trade Ideas A.I. Pro, stockstotrade.com remains behind the market leader of artificial intelligence based market scans and trading strategy creation. The reason for this is simple. 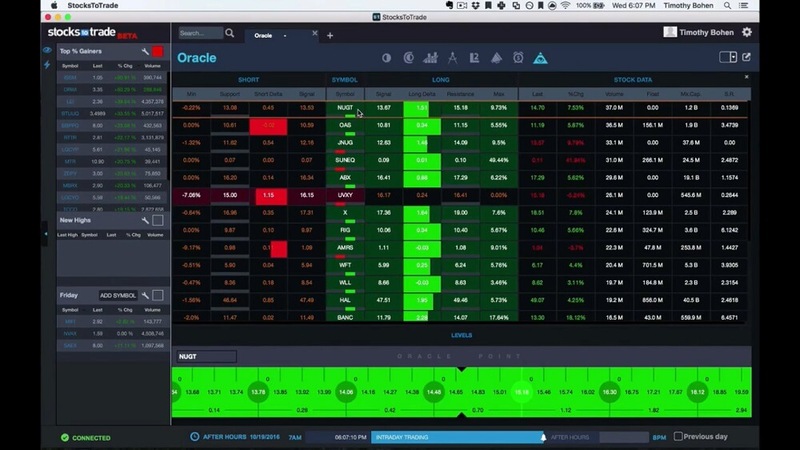 Because stockstotrade.com offers the same standard trading strategy and market scanning techniques that so many other market scanners provide. Trade Ideas is different, has a more competitive price and offers automated trading. Make sure to check out our latest Trade Ideas Review before you make your decision. Every trader knows – to compete with the best – you need real-time data and access to news that matters. With Stocks To Trade, you get both. Its software collects quantitative and qualitative data and the platform is structured so the entire process is seamless and intuitive to apply. More than that, the site doesn’t make any outlandish claims. There isn’t any boasting about 500% returns or pictures of yachts sailing the Mediterranean. Instead of selling a dream, Stocks To Trade promotes a useful product that gathers all the essential data you need to succeed in the markets. Out recommendation is to try Stocks To Trade’s Software. The benefits are immense and with a seven day trial for only $7, you can put the product to the test without any financial worry. If you decide the product is right for you, a monthly subscription costs $179.50 or you can save $259.90 by opting for a $1,899.50 annual subscription. Either way, the product offers real solutions and gives you all the tools you need to take on the competition. However, keep in mind to read the Trade-Ideas Review before you take action. Trade-Ideas is not only an alternative to Stocks To Trade but also one of the fastest growing companies in the United States. Their proprietary stock market scanner exists for more than 10 years and they improve their software regularly. Furthermore, there are tons of free resources Trade-Ideas provides.